This item is for pre-order now. It will be in stock on about 3.25. 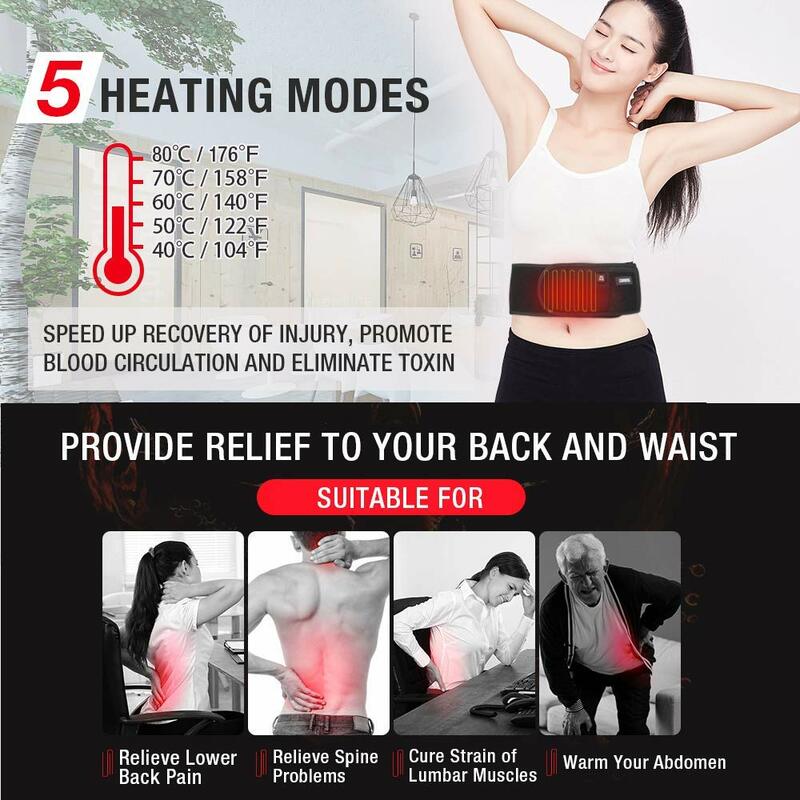 The ARRIS heating lower back wrap can be used on lower back, waist, abdomen, shoulder, knee etc to provide pain relief.The ARRIS heating back pad is suitable for men, women, young, adult and elder people. It is a perfect gift for Mother`s Day, Father`s Day, Thanksgiving and Christmas. 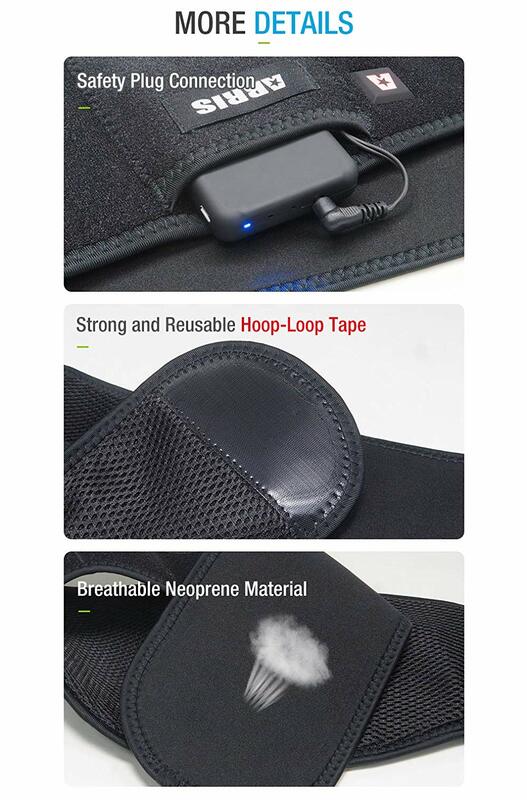 [Waist Wrap Design]: Adjustable wraparound waist brace with widely stick straps, perfectly fits well with waist, stomach, lower abdomen, legs, knees and neck. 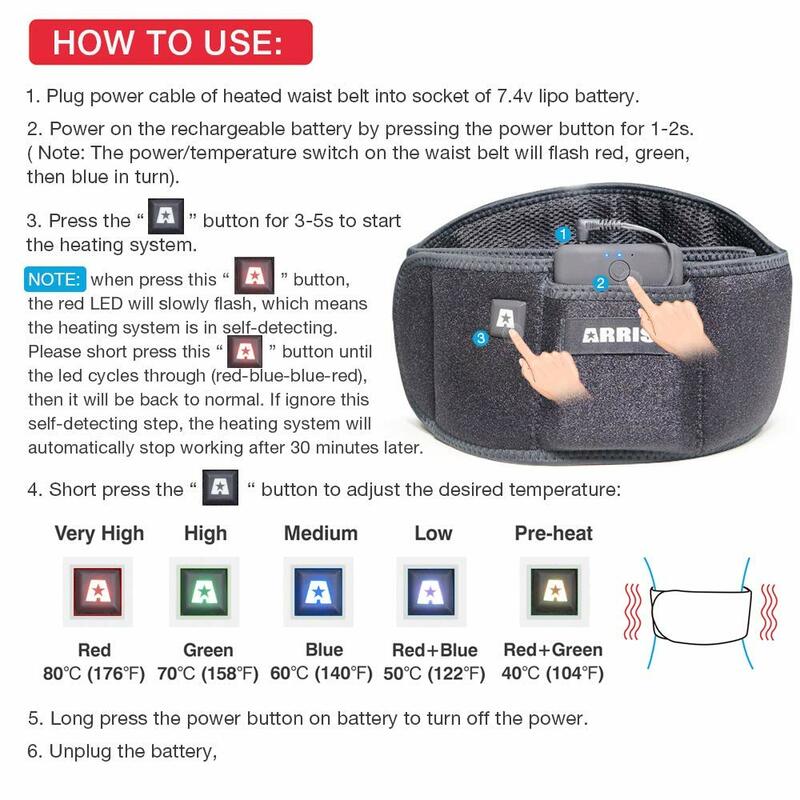 • [3-Level Heating Controller]: Low-Blue (45℃), Medium-White (55℃), High-Blue (65℃) to adjust the desired heat level. • [Widely Application]: You can use it on the waist, back, shoulder, wrist, stomach, knee or foot to promote blood circulation, relieving stress, tension, muscle pain, stiffness or cramping, etc. 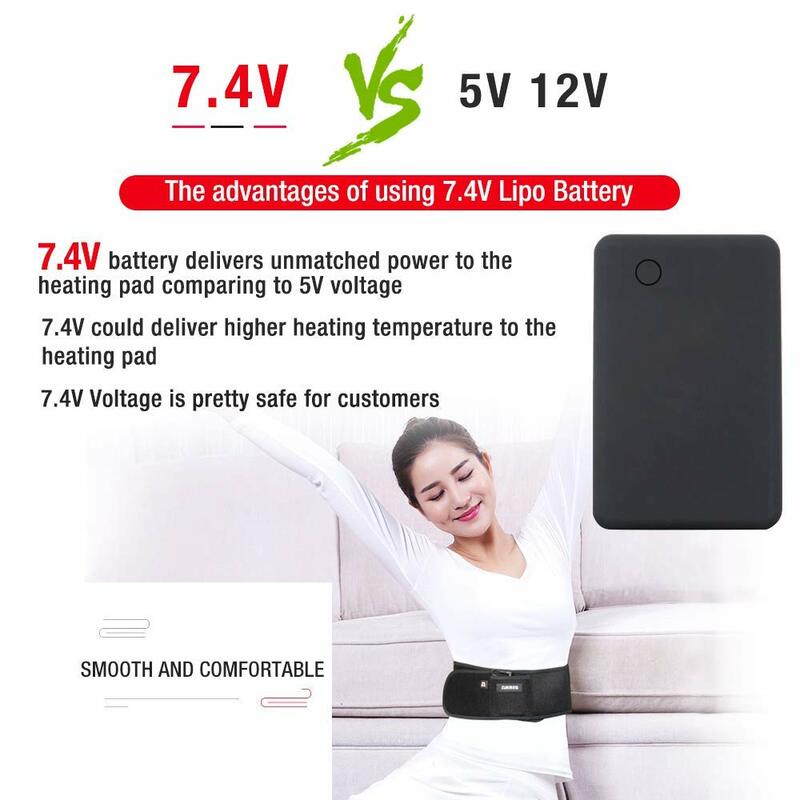 • [7.4V Powerful Rechargeable Lipo Battery]: Most heating waist wrap in the market is powered by 5V battery, while what we use is 7.4V, which could offer sufficient power to the heating pad. • [Safety]: Built-in thermal protection module. Once it is overheat, it would stop until the heat return to the standard temperature. It also supports hand wash without worrying electric leakage, extremely secure and reliable. 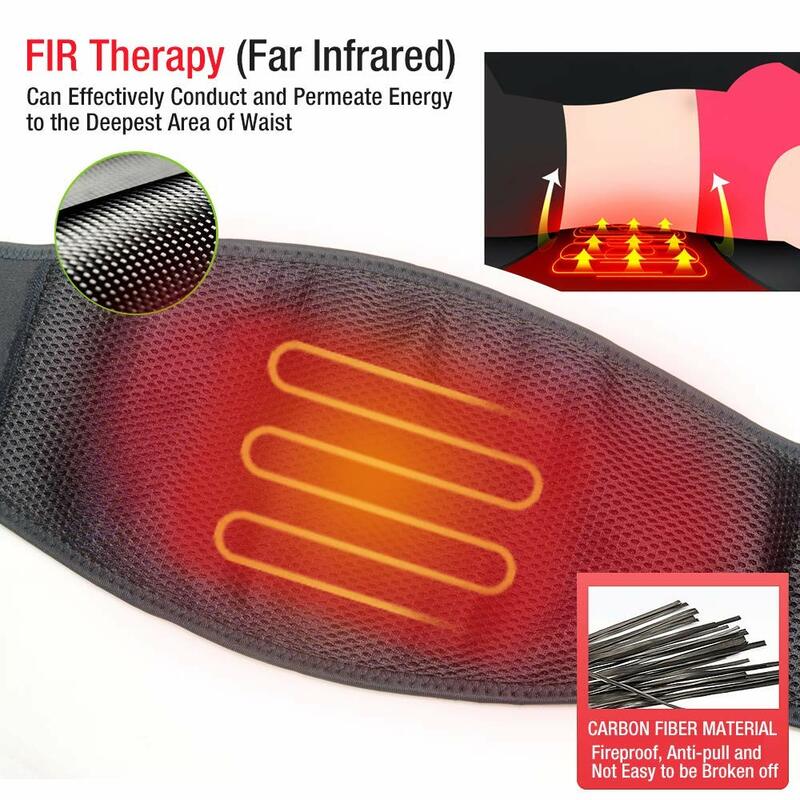 Why FIR Therapy (Far Infrared) ? FIR therapy is proven scientifically to be more effective than conventional heat therapy since it penetrates deeper into the skin without causing skin injury. Graphene produces far infrared of wavelength from 6-14μm when generate heating, which can be easily absorbed by our human body. We suggest buy one more battery for it. i have had bad back pain and really needed some heat therapy. Great product! works really well, i use it every night before i go to bed.